Who wants to blend in when you can stand out and be noticed. Camouflage may have been designed for stealth reasons but its found other uses, especially in the fashion community. Gone are the days when camouflage was exclusive to the military and hunting elite. The masses have integrated this classic pattern into their everyday wardrobe, from hats, jackets, pants and shoes. You really can’t go wrong rocking one of these pieces, it can be mixed and matched with almost everything in your closet. 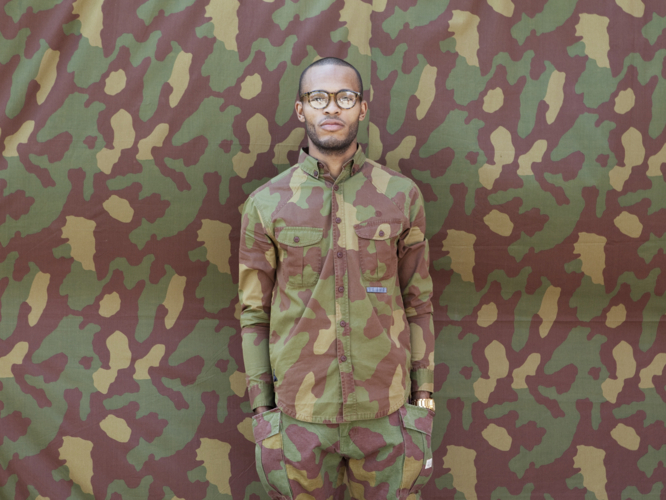 And with the ever growing popularity of camouflage patterns in streetwear culture, we felt it was time to introduce to you some of the more unique ones being worn right now. 10 Deep, one of the longest running streetwear brands from New York, have designed a bigger version of the camo dubbed “Elephant Camo”. Standard camo generally has smaller details but this one seems almost zoomed in. It definitely maintains that raw edge with the urban colors. Publish may be new to the scene but each collection they bring have brought them well deserved props. 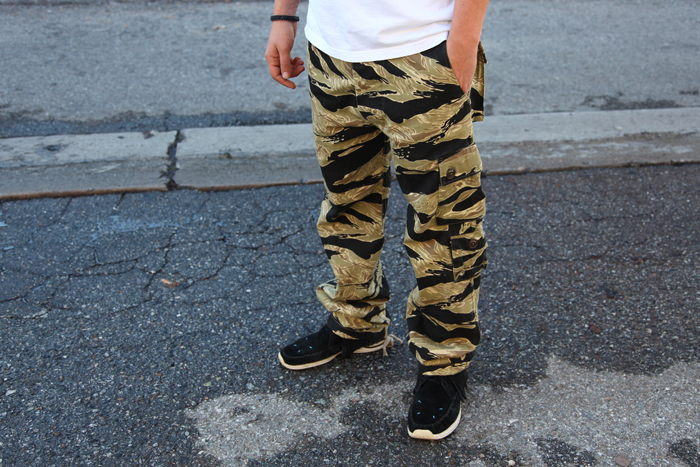 The Southern California brand introduced us to this “Carlyle camo” a few seasons back. We can’t wait to see what other unique patterns they got coming up, so be on the lookout. Digital Camo or “Digi camo” isn’t new, but it’s rare to see it on the streets. More commonly used in the US Army uniforms, the original brown pattern blends perfectly in a hot desert setting. Now it’s made in various color ways and available to all streetwear enthusiasts. Japanese brand, A Bathing Ape, might as well be known as one of the leaders of streetwear culture. 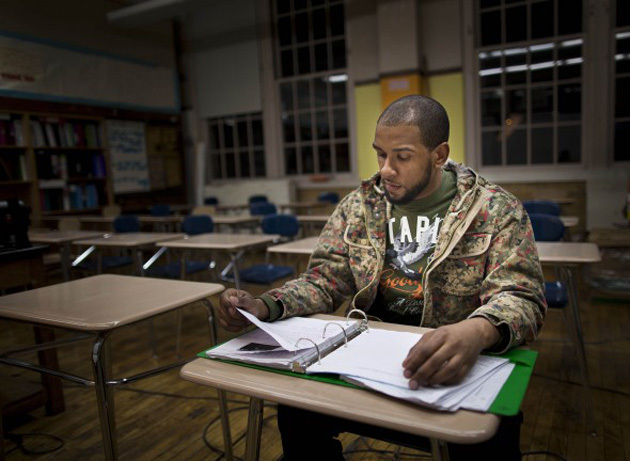 They have witnessed trends come and go, and have been hyped by many hip-hop celebrities. When it comes to camo, Bape was one of the first to put it on the mainstream. 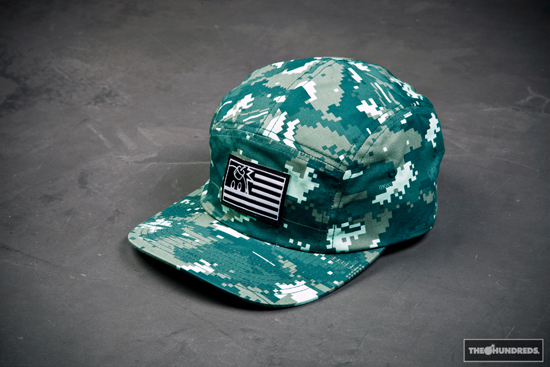 From their signature Ape logo embedded into the pattern to their wide array of colored camo. The world wasn’t quite ready for an explosion of pink and purple camo though. But we can’t hate on the super-brand for putting its camo pattern on everything from cars, to notebooks, and even tissue boxes. They got everything covered, literally. The “Pigeon camo” from Staple design is unique as the brand itself. You can find its signature pigeon logo in some of the camo covered pieces. Also, the addition of the color red to the design will definitely make you stand out from the rest of the crowd. Rapper, Freddie Gibs, rocking the LRG “Maple Leaf camo” shorts. Need we say more? If a rapper wants to wear your threads, then you are doing something right. No lie, we all got some kind of LRG piece in our closet. A giant among streetwear brands. “Tiger camo” is a hybrid of the popular tiger stripes and camo pattern. Together they make the perfect combination with striking details that appeal to a wide range of audience. Crooks & Castles have also dedicated some pieces for their women’s line. 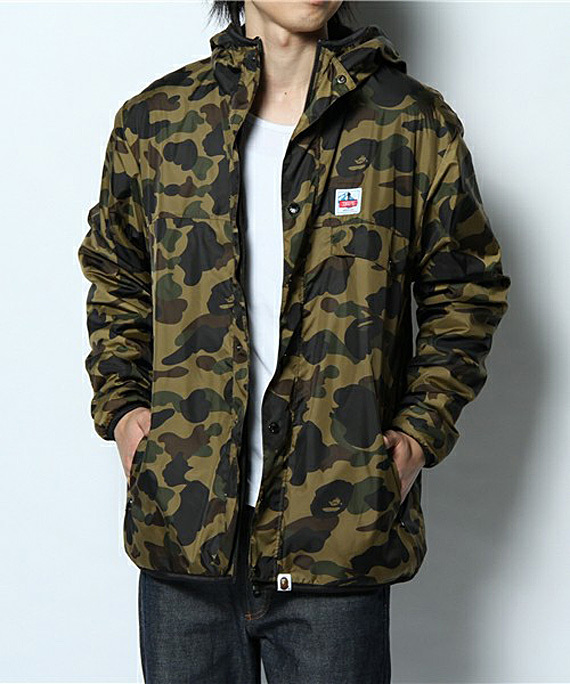 Undefeated, Stussy, UNIS, Converse, WTAPS, Mr.Bathing Ape, Burton, Mark McNairy and FUCT have also gone tiger style. Previous Post Fresh Fit Fridays!